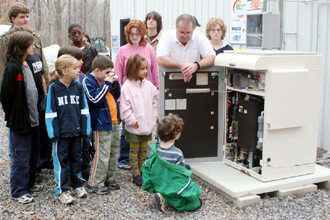 The Hopewell Project is committed to developing educational programs that raise awareness about sustainability and the importance of renewable energy technologies. Partnering with schools, foundations, and environmental organizations, we provide educational materials, resources and hands-on learning experiences to K-12 and university students, as well as interested adults. Our goal is to encourage critical thinking, and inspire the joy of scientific discovery through sharing the excitement of renewable energy applications. 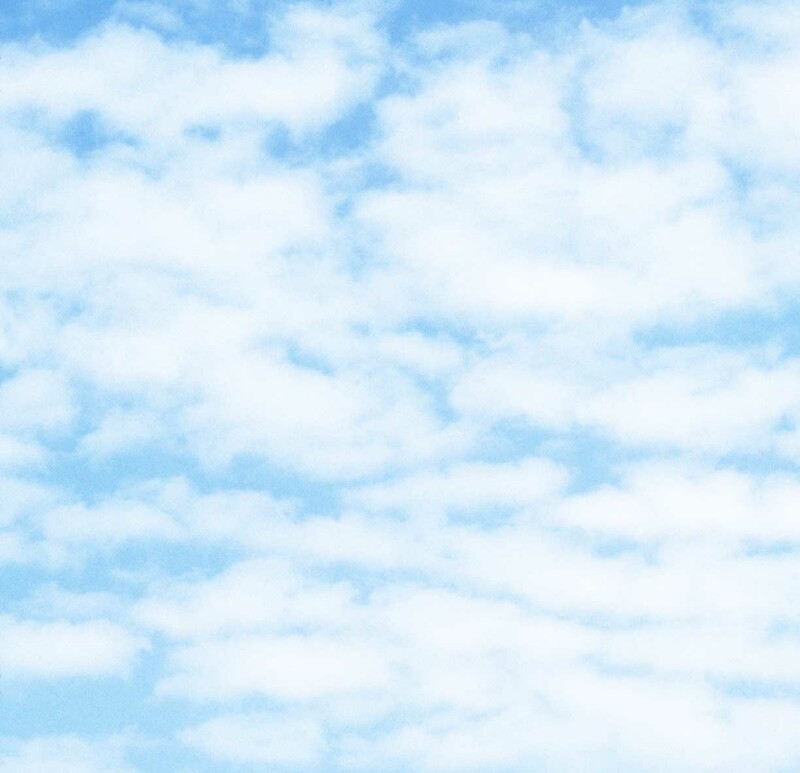 In this way, we hope to have a positive influence on the next generation as we move toward a sustainable future. We are currently offering guided tours of the solar-hydrogen home and system. Visiting students have demonstrated an exceptionally high level of interest and enthusiasm for this project. Multiple schools and universities have already taken advantage of this exciting and unique learning experience. 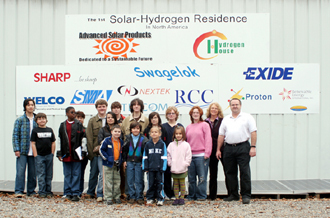 The first students to visit the Solar-Hydrogen residence came from the Studio for Experiential Learning in November 2006, shown here. To schedule a visit for your school or organization, or to to invite The Hopewell Project to make a presentation at an event, click here.